My name is Gary A. Donahue (GAD). 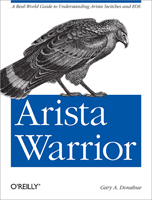 I am, among other things, author of the O'Reilly books Network Warrior (1st and 2nd editions) and Arista Warrior. I am also a practicing consultant, husband and father with more hobbies than I can keep track of. I also like to end sentences with prepositions when my editor isn't looking. 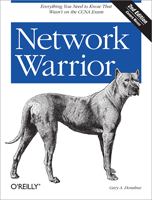 Network Architecture: With over 29 years of experience, I can help your organization create a modern, scalable network within your budget and time constraints. Project Management: Working with your team, another team of consultants, or even your oursourced team from overseas, I can help bridge the gap between engineers and management while keeping complex projects on track. Documentation: I can document your existing network or your planned network. I provide professionally bound color copies as well as soft copies. Leadership: Today's technical staff faces challenges for which many engineers are not prepared. With years of experience both in the trenches and in management, I can help mentor your teams to help them coexist peacefully and efficiently. Training: I have many years of teaching experience, and I love to teach. Let me teach your teams technology, inter-personal skills or even how to make their documentation shine.